IT's been awhile. It's nice to be back on track. I don't wanna make excuses but one thing is for sure, I'm pretty much pre-occupying myself with something very important us --real content about it coming soon. Anyway, I didn't realized that last week was Grandparent's Day. My bad! I should've planned something for Azumi's grandparents-- well there's always next time. Besides, we always spend some quality time together, no matter how busy our lives may get. 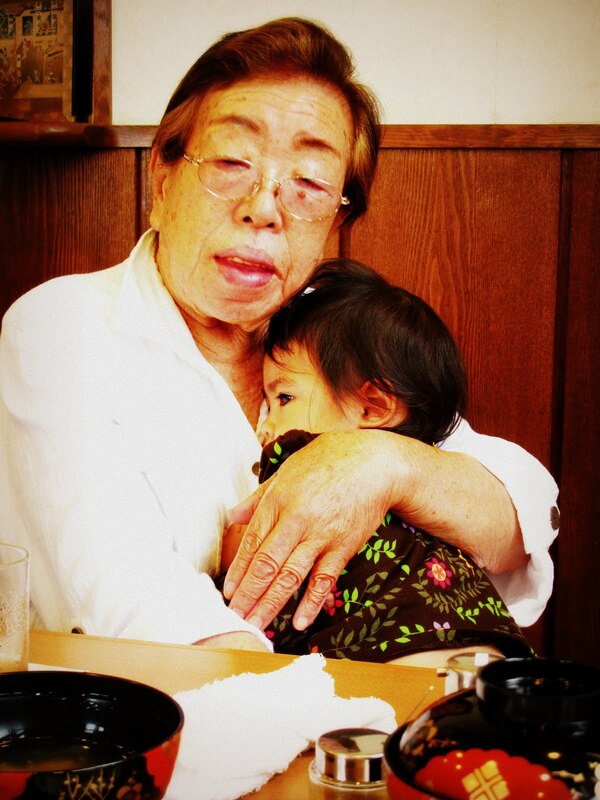 Azumi is truly blessed to have all her grandparents. They are all awesome and they love Azumi so much. Having different personalities, interests, and lifestyles could be actually fun and interesting. Anzu calls her grandmother "Baba" while she calls her grandfather "Jiji". She gets to hang out with them almost every week. Her Baba always gives something for her --clothes, foods, toys-- generally shop for her. She's a cool grand mom. On the other hand, Jiji plays with her. Sometimes he gives her money. He cooks delicious dishes for us whenever we visit them. He's a retired chef of one of the five star hotels here in Tokyo. Anzu definitely enjoys being with them because she's being spoiled. 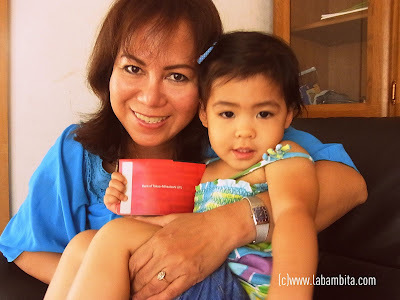 Here's Azumi with my loving mom. She calls her Mamu. We get to see her almost everyday because we are neighbors :) Anzu gets excited whenever Mamu comes to our house. She adores her. I'm thankful because my mom is living nearby. I can call or talk to her anytime. I feel secured. 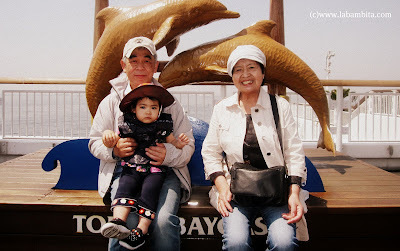 I can't wait for next month because Azumi will be going to see her loving, cool, and handsome Lolo for the first time. We're all anticipating for that first meeting. We're all excited. I've been praying for this to finally happen. I'm hopeful. Hubby and I are very thankful for how much these people have helped us figure out parenthood. Althou we pretend to have it all figured out lol. Honestly, we are learning so much from them. It is nice to see she has so many people around her that love her. She will grow up to be a wonderful woman. With all that support she can't help it. Ohhh.. that's so so sweet sis. For the Grandparent's Day, you created a very nice post. Askim is yet to meet her grandparents too. Hopefully next year. I don't have parents anymore, so she calls my aunts and uncles "lolo" and "lola" instead. wow! your kid is so lucky to have enjoyable moments with her grannies. not all kids are as lucky as she is. happy MM! Anzu is so blessed to have such wonderful grandparents. They all help in molding Anzu's character. Your mom is so young and beautiful. No wonder you and your sister are so beautiful too. With so many to take care of her and mold her character, Anzu is sure to grow up to be a wonderful and obedient girl. Thanks for the feel good post. God bless you all always. this is a really nice post and i really loved the pictures! :d glad you joined us! Mejo naguluhan ako sa story hehehe... Your mom's mother-in-law is not your grandmom? Anyway, you are right. You are privilege because your mom lives nearby, you have someone to call to when you need a hand :) And Anzu is blessed because she has grandparents by blood and a bonus grandmom who love her and adore so much! I know you are busy with your daughter 2nd birthday :) I'm excited to know the real story about her birthday. I don't think you're pretending Bams, You are definitely a great Mom to pretty Anzu.. Anzu is blessed indeed! Am sure excited na si Lolo hehehe..
Oppps, i just watched the video hehehe, kakatuwa naman si Anzu.. Tinuturuan mo rin ba sya ng tagalog aside from english and niponggo? I also forgot the grandparents day, it was too late when i saw it on the calendar. what a very heart warming post. Anzu is very, very pretty!